Before the Mohanlal-starrer Randamoozham (aka The Mahabharata) was announced, with a budget of Rs 1,000 crore, 2.0 was reported to be among India’s most expensive films, costing around Rs 400 crore to make. However, with Lyca Productions (2.0’s producers) striking a record deal with the Zee group for the satellite rights to the film — estimated to be Rs 110 crore — the film was already on track to recover some of its investment. 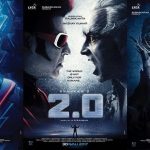 It now emerges that the Hindi theatrical rights of 2.0 have been sold for Rs 80 crore, bringing the film’s pre-release business to Kabali levels, a whole year before its release. 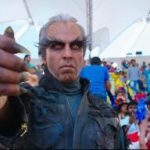 DNA reported that the producers had wanted Rs 100 crore for the theatrical rights of 2.0. but this was felt to be too high a figure. Finally, Rs 80 crore was settled on, as the exhibitors felt Akshay Kumar’s pan-India reach would assure them a good return on investment. 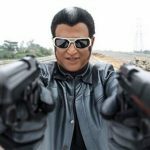 2.0 has been in the news ever since it was announced, and recently, actress Amy Jackson’s photos from the set were leaked much to the makers’ dismay. 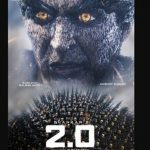 It now remains to be seen whether or not 2.0 will be able to match Baahubali 2: The Conclusion’s box office performance.